CBC Calgary will be partnering again this year with the Calgary Food Bank to raise funds and food donations for hungry Calgarians. Join us in December as we work to fill every plate in Calgary this season. CBC Calgary staff and their families volunteer at the Calgary Food Bank on Dec. 1, 2018. ​Get Social: Follow us on Facebook, Instagram and Twitter for the latest Food Bank Drive news and numbers. Don't forget to use #cbcfeedsyyc so we can follow your fundraising efforts. Listen the joyous sounds of choirs and carolers alike at the annual Knox United Carol Festival. Taking place over three musical evenings, you can be sure to take a listen. Non-perishable food and monetary donations will be accepted onsite. Join David Gray, Angela Knight and the whole Eyeopener crew to kick off the CBC Calgary Food Bank Drive, as well as the launch of this year's One Gray Knight coffee sales. Supplies are limited so you will want to come early! Get a photo with Santa while also supporting your community. Donations will be accepted in exchange for getting your picture taken with Santa. Santa’s stage will be set up in the Calgary Farmers’ Market food court. This year Santa brought his reindeer from the North Pole so you can meet them too from 10 a.m. - 4 p.m. The Holiday Train with its spectacular display of festive lights makes its annual stop in Calgary on Dec. 9. Bring the whole family and enjoy a free live concert featuring Terri Clark, Sierra Noble and Kelly Prescott. Come and meet Angela Knight of The Calgary Eyeopener and finish up your last minure Christmas shopping! Gift sets include a bag of special roasted Fratello coffee beans and a limited edition CBC Calgary mug. Sets are $20. All proceeds go directly to the Calgary Food Bank. We start early with a live broadcast of The Eyeopener and One Gray Knight coffee sales in the lobby. The action continues in the afternoon with a live broadcast of Alberta@Noon and The Homestretch. Can't make it in? Follow the action on social media: #CBCfeedsYYC. This year is the 17th instalment of the 5k fun run to benefit the Calgary Food Bank. Register for the race with a minimum $20 donation to the Calgary Food Bank at amblewithangus.com. 7 a.m. - 8:30 a.m. at Arcurve Inc.
You can't miss Puppy Paw-looza, our partnership with the Animal Rescue Foundation (ARF) where puppies are brought in for snuggles in exchange for donations to the Calgary Food Bank. Historically held in the CBC lobby, this year the event will take place at Arcurve, one of the founding partners of YYC Tech Gives. Join The Homestretch for a live broadcast with great local live music. The Kinjo Brothers will be jamming as our house band. Musical guests include some solo artists such as Metis singer-songwriter Troy Kokol, opera-turned-blues-singer Jessica Knights and theatre gal who can do all things to do with sound, Allison Lynch. And of course we can't forget our hosts: CBC's own Doug Dirks and Jenny Howe. Angela Knight will be live on The Calgary Eyeopener from the lobby of Peloton Computer Enterprises, an active member of YYC Tech Gives. Come and have a cup of coffee with us and buy your own One Gray Knight gift set. Supplies are limited so come early! Tim Tamashiro loves Christmas and he loves to sing! Join us for what has become one of our favourite holiday traditions. The afternoon will feature a variety of musical elves and even a visit from Santa! Reservations recommended. An annual Christmas tradition that is not so traditional, The Heebee Jeebees present their 25th annual Christmas show. Join Angela Knight in the CBC lobby as she empties out her Christmas stocking. You never know what goodies you might find! A big thank you to our community partners, who are working to fill every plate in Calgary this season. Established in 1982, the Calgary Food Bank is a charitable, non-profit organization dedicated to gathering and distributing quality emergency food to those in need. The Calgary Food Bank hands out 262 emergency hampers every day, as well as provides resources to other food banks and agencies in Alberta. Fratello Coffee Roasters works directly with farmers around the world to produce coffee that is not only delicious, but also ethically sourced. 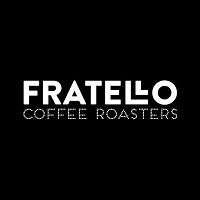 Fratello has generously donated over 1,000 bags of One Gray Knight specially roasted coffee so that all of the money collected can go directly to the Calgary Food Bank. Calgary Tech companies coming together to support the local community. Since 2010, YYCTech Gives has donated over $880,000 translating to $4.4 million worth of food in the hands of Calgarians in need. They chose to support The Calgary Food Bank because it is a local organization that provides a big uplift to their clients. In the past year, the Calgary Food Bank has donated 9,139,114 lbs of food, which is 9,786 meals Every Day for those in need. 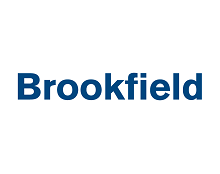 Brookfield owns, manages and develops office properties in Calgary and around the world. Brookfield has kindly donated the space for our downtown donation desks, as well as space for several of the CBC Calgary Food Bank Drive events during the campaign. Dec. 7 - 23, weekdays: 7:00 a.m. to 7:00 p.m.
Dec. 7 - 23, weekends: 9:00 a.m. to 2:00 p.m.
Dec. 3 - 7, 9:00 a.m. to 3:00 p.m.
Dec. 10 - 14, 9:00 a.m. to 3:00 p.m.
Dec. 10, 11, 17, 18 and 19 8:30 a.m. to 3:30 p.m.